Your coworkers just don’t believe you when you tell them that you used to be the class clown in high school. Jim from marketing rolls his eyes, while Maggie from HR says, “but...you’re so serious.” Time for a humorous makeover! It’s true; your clothes have become slightly more conservative and you haven’t been seen with a whoopee cushion in about 20 years, but we know you’ve still what it takes to have every cubicle rolling with laughter! 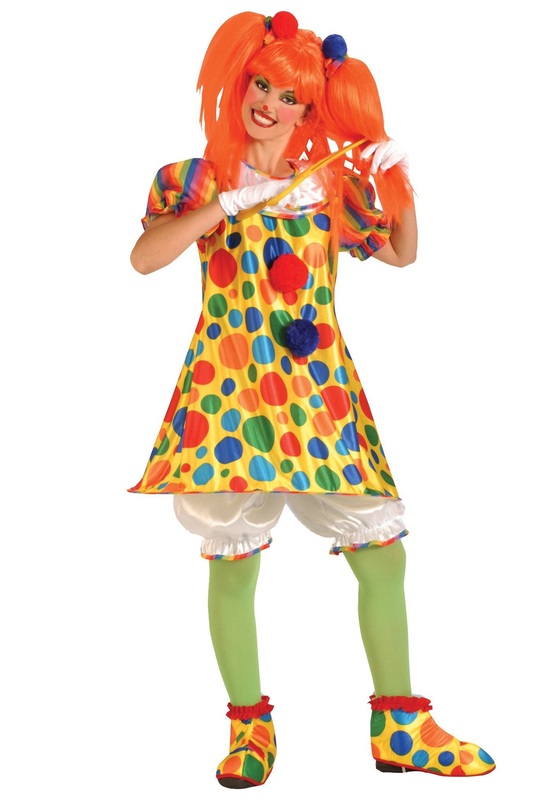 Why not show up to work on Halloween in this Giggles the Clown Costume and stop the second-guessing in its tracks? This look is certain to make you the cutest and jolliest clown under the big top, all the while infusing a bit more whimsy into your Wednesday staff meeting. Jim will need to put his eyes back in his sockets when you waltz in wearing this clown costume and slinging jokes left and right. And it’s safe to say that Maggie will want to hide under a table for having been so wrong about you. Later, you can rock this classic clown look at a party and keep guests smiling from ear to ear. Everyone loves a clown; or...at least those who aren't afraid of them do. Bring some much needed sunshine into your grumpy coworkers’ lives and let the story of when you showed up in these bloomers, hoop skirt, and dress live in office infamy. Pick up a clown nose and wig to really look the part and put those naysayers in their pouty places!